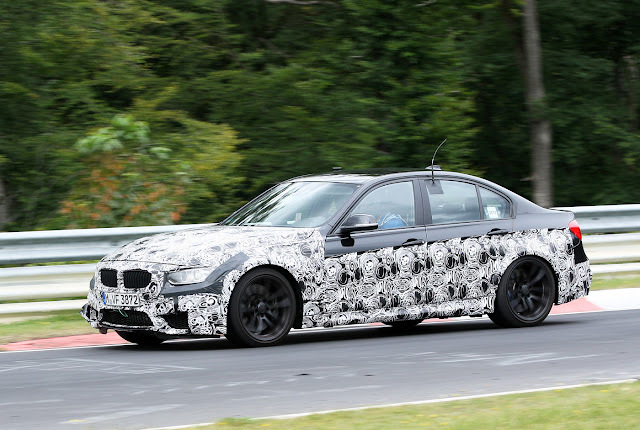 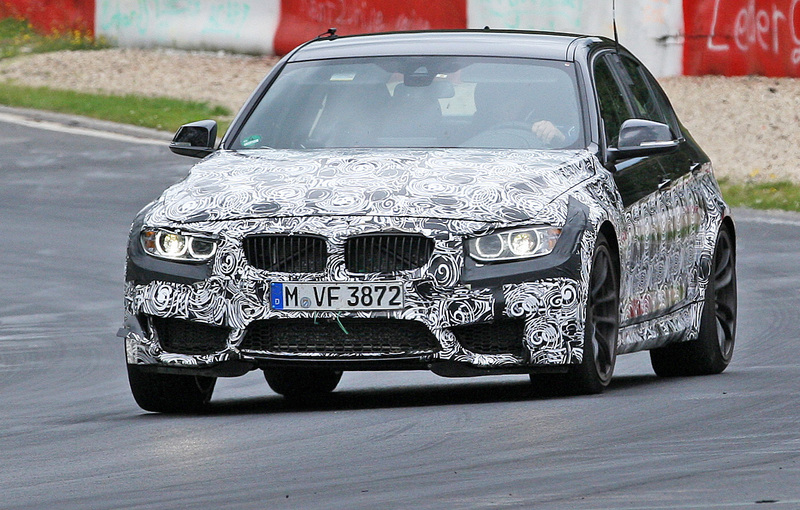 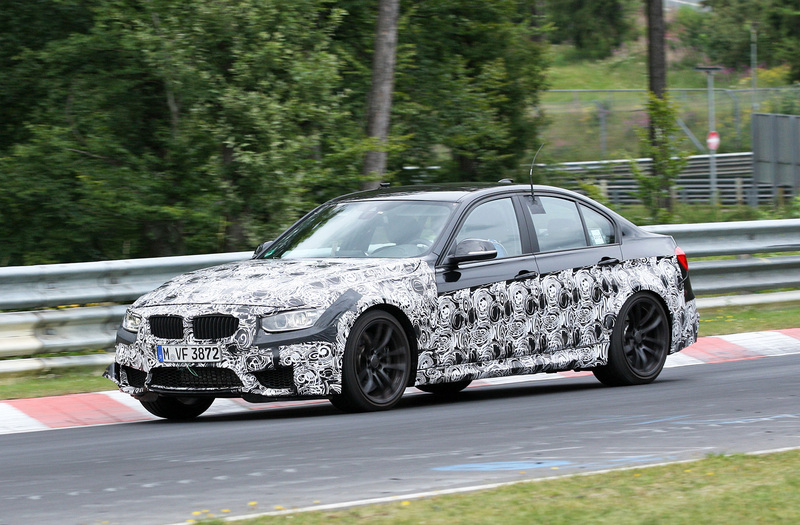 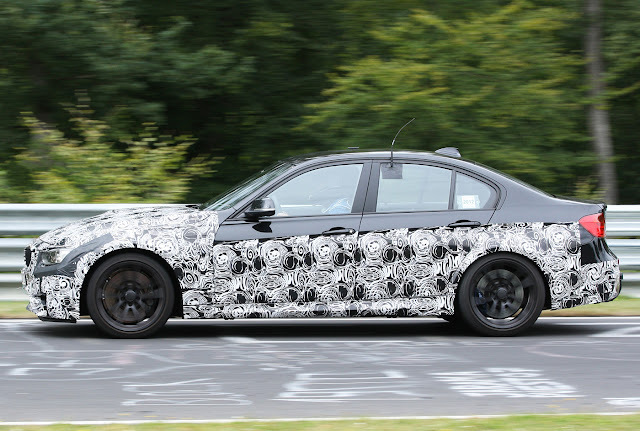 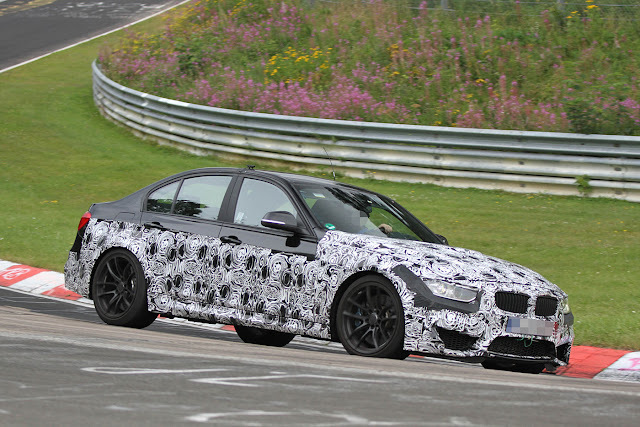 The brand new F80 BMW M3 Prototype is spied again out testing on the Nurburgring, we have seen many of these kinds pictures in the last few months. In the pictures below the 2014 BMW M3 Sedan Prototype with it’s camouflage outfit suffers what appears to be a wardrobe malfunction revealing it’s Passenger side Air Curtains, these Air Curtains is used feed and direct the air to cool down the brakes. 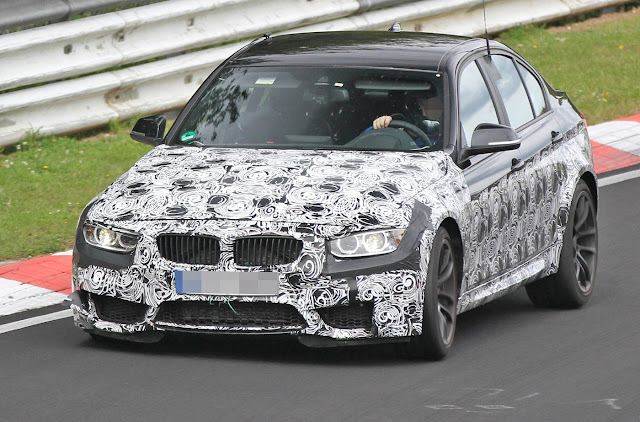 A few more pics after the Jump.